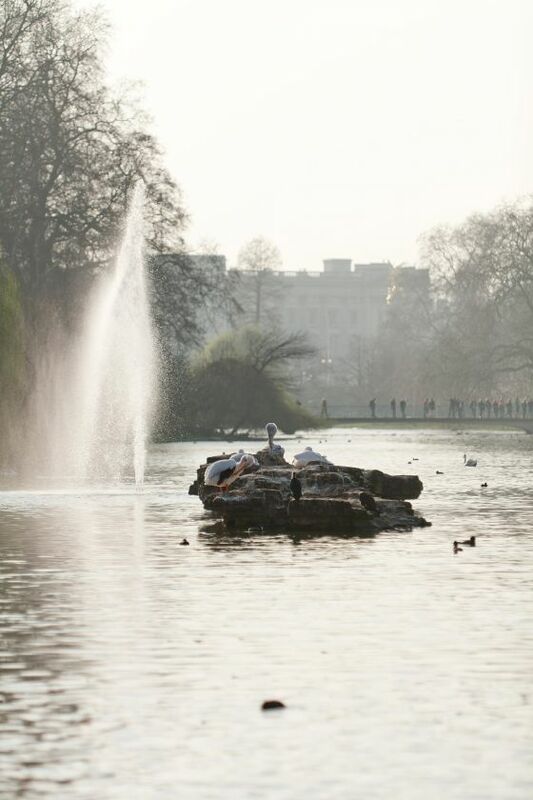 At the centre of St James’s Park lake is the Tiffany Fountain.The fountain sends a six metre (20ft) plume of water straight into the air, enhancing the special views across the park to Buckingham Palace, Whitehall and Horse Guards Parade. On special occasions the jet is illuminated at night, in any one of a rainbow spectrum of colours. The Tiffany Fountain was restored to the lake in 2011. It re-creates an earlier fountain which was installed at Pelican Rock in 1966, and removed thirty years later due to wear and tear. The fountain helps provide a better habitat for wildlife in the lake. 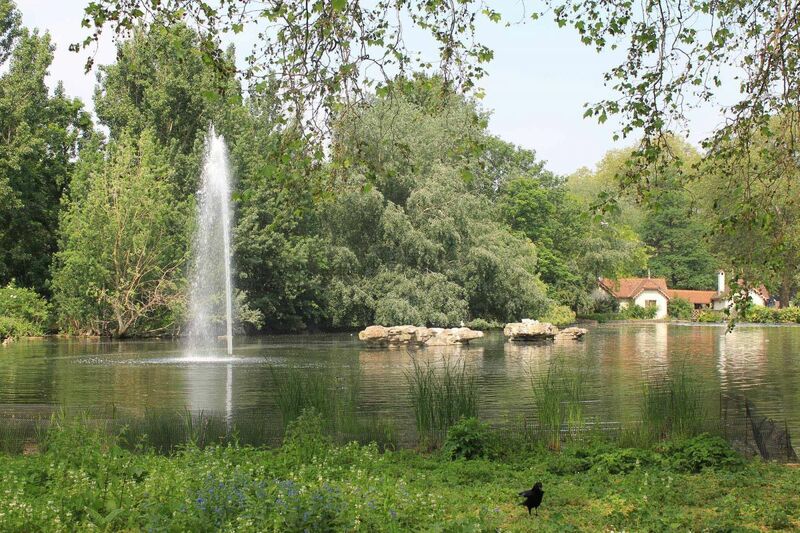 The process of sending water into the air improves the lake’s water quality and is known as aeration. The jet can reach a height of eight metres and is aligned to the Buckingham Palace balcony. The volume of water recycled continuously from the lake through the jet could fill your bath at home in just 24 seconds. A clever wind speed sensor is located at the end of Duck Island to reduce the jet height in strong winds. This keeps the fountain operating and avoids the pelicans having a cold shower in winter. The lighting system uses low energy LEDs and is automatically switched off during the day. The fountain has been made possible by a generous gift from The Tiffany & Co. Foundation.